Mulching is a project that adds a lot of character and beauty to your landscaped yard. However, did you know that mulch also has several health benefits for your flower and garden beds, as well? Outback Lawn Service offers mulching services that can, and will, transform your property. Fresh mulch rejuvenates your garden beds unlike any other project, and we guarantee that you will be happy with the results of one of our mulching services. As you can see from the plant/soil health benefits listed above, there are several reasons why it is important to mulch your garden beds. Additionally, fresh mulch will provide your lawn with a crisp, finished appearance that will enhance the colors of the grass, plants, trees, and flowers within your surroundings. When you choose to work with the professionals from Outback Lawn Service, not only will you work with people who can provide mulching services for you, but you will also work with experts that can help you decide which type of mulch is best for your particular surroundings. 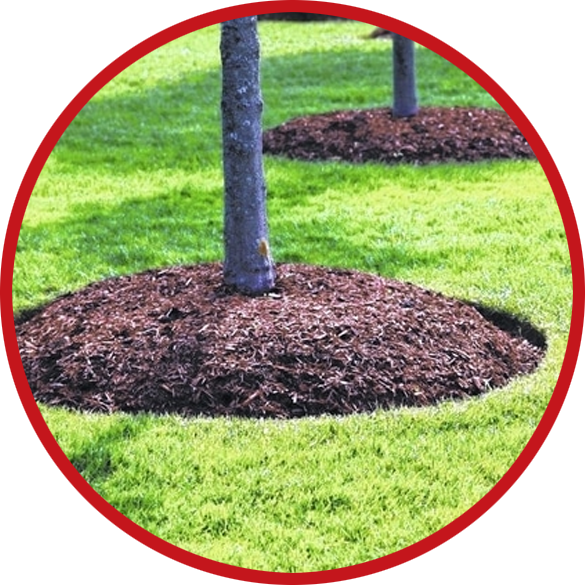 There are many types of mulch available, and we will gladly discuss the various types with you, and what will work, and look, the best in your lawn. Outback Lawn Service team members are full of information and knowledge, and we welcome the chance to share with our customers, all that we know about what looks and works well within any type of environment. If we can help you with any of your mulching projects, then please contact us today!